Jamie Noakes made a video for us. He shot it with 8mm film in 9 frames per second. The film was sent to Germany for development and shortly after that the film was lost by the postal service and no one knew where to find it for a couple of months. After a while the package was found and it was transferred to a company that scan frame by frame into an HD format. And here is the amazing result. A new video is available from the coming ARCHITECT album. This song is BEHIND THE FACE. We are proud to show you the album artwork for our third album ARCHITECT. 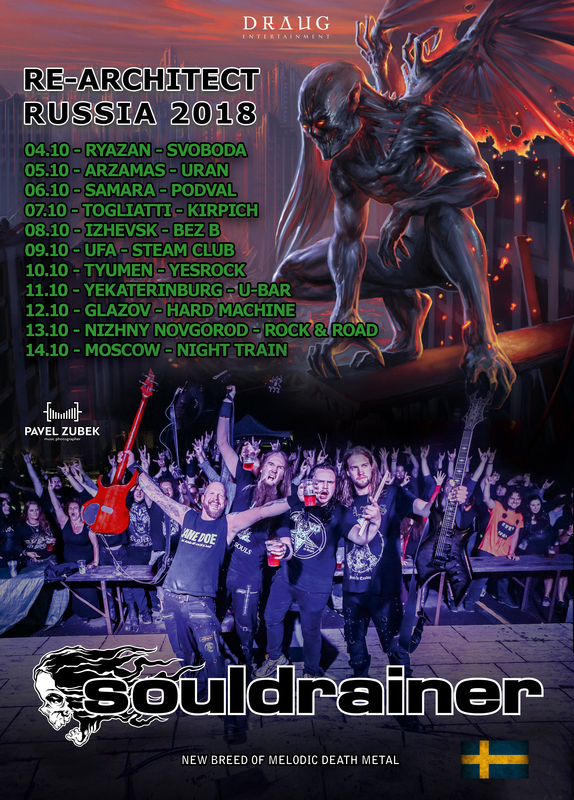 It will be released this spring and followed by a tour in the east Europe. We are proud to announce that we will participate in NEOGENESIS TOUR – Third Chapter that will start off on the 10th of April! 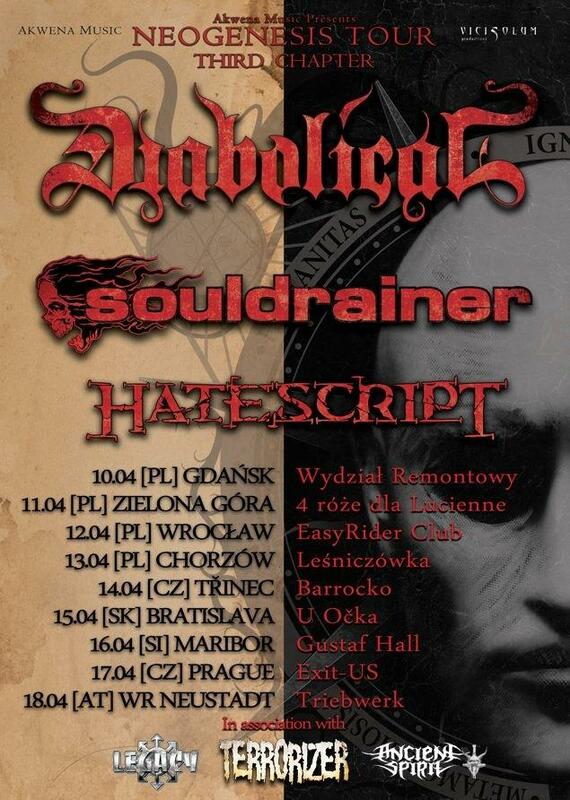 This tour which will consist of dates in Poland, Czech Republic, Slovakia, Slovenia and Austria! Tomorrow we will start the recording of our third full length album at Empire Studio. It will be released by our label ViciSolum Productions in 2014. It will contain about 10 songs. The album art has already been made by Pär Olofsson and we will show it to you soon. We have a european tour plan in the pipe near April 2014 (more about that later). HORNS UP dudes! How’s that for an early holiday gift? Let’s do this awesome album already! We received a small shipment of Zipper Hoodies with a big print on the back and a woven patch sewn to the front. Shipping world wide. Very good quality. The brand is Gildan and they are a little bit smaller than Fruit Of The Loom. 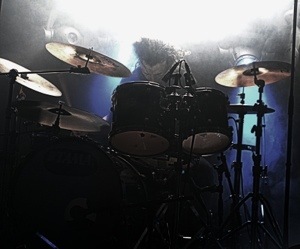 The new drummer is Hugo Nylander, known from the rock band Djävulskap and the black metal band ex-Denicalis. – Since my black metal band Denicalis was laid to rest I missed playing metal. 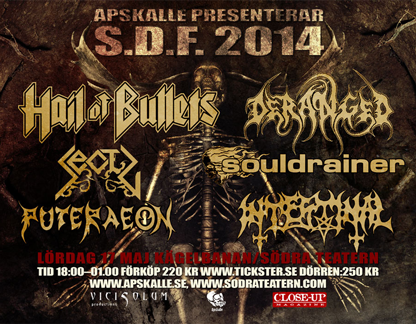 When Souldrainer called me for a session job for their upcoming tour I said yes right away. I’ve listened a lot to their CDs before and knew what I was up against. 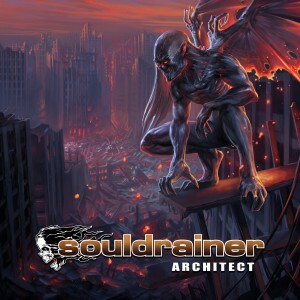 After a couple of shows together they asked if I wanted to join as a permanent part of Souldrainer and I couldn’t resist accepting it! I’m really looking forward to the upcoming shows and recording the new album later this year! Previous drummer Sverker Berggren decided together with the band to leave the drummers throne. 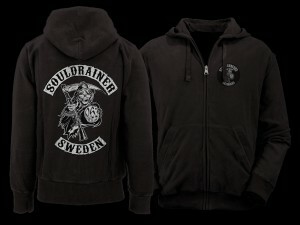 Souldrainer wants to thank Sverker for his duties during his time in the band and wish him all the best in the future.